US’s Vote Against Israel at UN, What Does It Means for Kashmir? 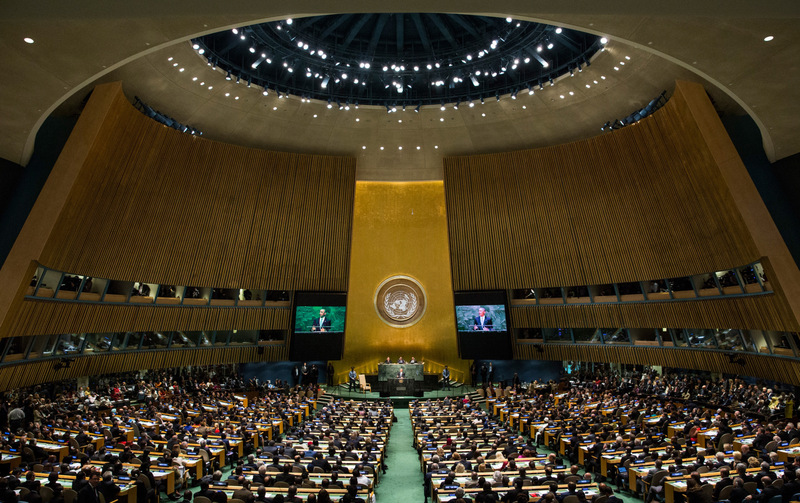 New York: For the first time, the US dropped its past practice of abstaining and voted against an annual United Nations resolution condemning Israel’s occupation of the Golan Heights. US’s then UN envoy Nikki Haley had said Washington’s change of heart was attributed to the atrocities the Syrian regime continues to commit prove in the region. According to Geopolitical Monitor, the international law regime is institutionally immature because of political intervention by the superpowers. Member states had created the UNSC to help ensure the global public good of international peace and security but the institution has failed. Experts have observed that the Security Council deals with dispute resolution in a political mode and does not have the capacity to adjudicate on purely legal terms. “The Kashmir dispute represents a situation where the Security Council could have given a stronger voice and stiffer backbone to its binding recommendations by taking a ‘quasi-judicial’ stance and referring to the legal basis of the conflict. The same is for the Palestinians. During the 1991 Madrid Peace Conference, the United States in a letter stated that the status of Jerusalem should be determined through multilateral negotiations. And Washington’s recent recognition is inconsistent with this. Experts say it arguably violates the basic right of Palestinians to self-determination. To solve Kashmir and Palestine’s problem the concept of international law should be institutionally very strong. In the meantime, the world bodies are hampered by power politics.